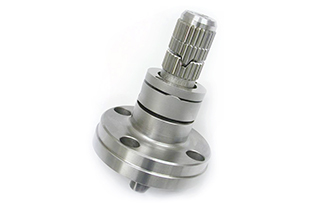 Splined Rotalock arbors have a rotating section of teeth for clamping on internal splined components and are used for machining and inspection purposes. Spline also design and manufacture expanding key type arbors and expanding collets. Expanding key type arbors are generally used for clamping on major diameter fitting splines for machining or grinding purposes. Expanding spline collets utilise a split collet with a spline on the outside mounted on a ground tapered diameter mandrel. Spline specialises in the manufacturing of Rotalock Arbors, Expanding Key Type Arbors and Expanding Spline Collets to suit customer requirements.